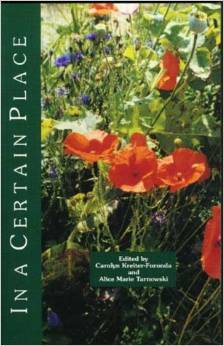 The poems in this anthology explore the theme of place. This book is an appropriate gift for any occasion. Poets included are Jean Bower, Gail Collins-Ranadive, Gabriele Glang, Carolyn Kreiter-Foronda, Mariquita MacManus, Judith McCombs, Fan Ogilvie, Betty Parry, Cheryl Romney-Brown, Elisabeth Stevens, Elizabeth Sullam, Charles Sullivan, Alice Marie Tarnowski, and Stacy Tuthill. Introduction by Br. Rick Wilson, T.O.R. Franciscan.